KVMSwitchTech’s new Rackmount Monitor Keyboard combo provides flexible options without breaking budgets. The new 1U Rackmount Monitor Keyboard units are the preferred choice for administrators who need to conserve space and power. When combined with other technologies such as a KVM Switch, they provide the ultimate flexibility and control without sacrificing precious rack space. They also help to reduce overhead costs through energy efficient displays and reduced heat. The one drawback has always been the increased cost over existing LCD displays. 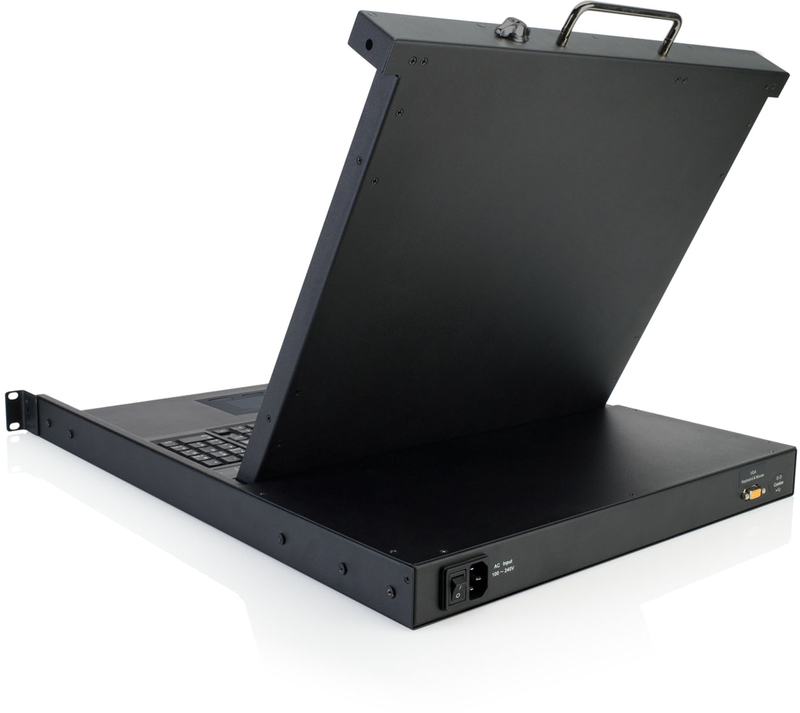 KVMSwitchTech’s new 1U 17” Rackmount Keyboard Monitor drawer provides a lower cost option for administrators on a tight budget. This unit is also ideal for customers who might be looking for larger multi-installation projects. 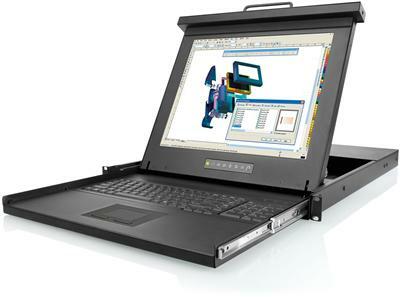 Like all the other 1U or 2U Rackmount Monitor Keyboards KVMSwitchTech offers, this new unit is available in both touchpad and trackball configurations. It is capable of supporting servers with either PS2 or USB keyboard and mouse ports. It also has all of the same OSD controls that help make configuration a breeze. These Rackmount LCD Keyboard units still provide an incredible amount of flexibility at a reasonable price. Though they only support a single computer by default, they can be used in conjunction with KVMSwitchTech’s or third party KVM Switch products. This allows users to control as many servers as the KVM Switch allows and can be expanded further by cascading multiple switches. KVMSwitchTech is a global supplier of Keyboard, Video, and Mouse technology. Headquartered near Cleveland, Ohio, the company is built on a strong core of dedicated people who have combined experience of multiple decades with KVM equipment. Their courteous staff can be reached through email and phone with no need to navigate frustrating phone menus. They are readily available and very capable of helping plan a project from start to finish.